A new Zillow analysis found that women with a newborn searched for homes in a market where houses cost $11,500 less than their previous market, undetermined of whether they moved with a partner or family member. For some, this transfer between markets was a $100,000 difference. With a New York Times survey citing the cost of childcare as the most common reason young adults are having fewer children and with the mortgage payments in some major markets historically less affordable, it is evident that housing and child care are two of the most influential and expensive conditions to budget for. 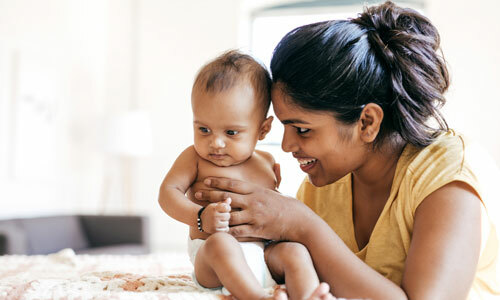 The Zillow study found that women who moved with newborns settled in a cheaper housing market in 26 of the 35 largest U.S. metropolitan areas. While other Americans moved in a similar direction as well, those moving with newborns saved about $11,500 while those without saved $9,000. The cost of rent continues to surge after hitting a nation-wide median high of $1,003, the first-time rent has climbed over $1,000, according to a U.S. Census Bureau report. The data reported a $52 increase since the second quarter and a nearly 10 percent uptick over last year. The largest year-over-year increase regionally is in the South, where rents were $907 in the first quarter and are now $973 in the third quarter. With the uptick in mortgage rates of almost 1 percent, a new report from Black Knight found that the number of borrowers with the opportunity to benefit from this year’s refinance fell by 56 percent and missed out on $252 of average monthly savings. Since the low mortgage rates of 2016, 5.9 million borrower who had access to a refinance failed to apply for one. Baby Boomers are refusing to budge and are staying in their properties, as a new trend shows Baby Boomers’ resistance to downsizing. This third quarter, the sales of single-family homes to consumers over the age of 55 have declined by seven points to 60, according to the recent Housing Market Index from the National Association of Home Builders. eXp World Holdings, Inc. has hired Jeff Whiteside as their chief financial officer and chief collaboration officer. Whiteside has previously worked at General Electric and Pitney Bowes. In his new role, he will be working CEO Glenn Stanford to lead their finance, business development (M&A), international markets and investor relations. Alan Goldman will continue as chief financial officer for eXp Realty adn will also become the chief accounting officer.